Observation - Lady's mantle - UK and Ireland. Description: Lady's mantle is wide spread in Assynt and at this time of year it's vivid yellow flowers seem to be everywhere. 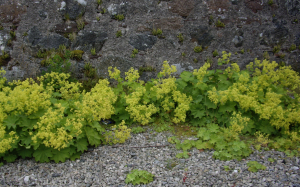 Lady's mantle is wide spread in Assynt and at this time of year it's vivid yellow flowers seem to be everywhere.